Great Lakes-Upper Mississippi River Board of State Sanitary Engineering Health Education Services, Inc. (1997), Recommended Standards for Wastewater Facilities, Albany, NY. Heukelekin, H., et al. 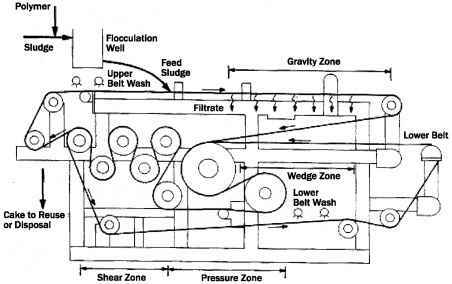 (1951), Factors Affecting the Quantity of Sludge Production in the Activated Sludge Process, Sewage and Industrial Waste, Vol. 23, No. 8. IEPA (1998), Recommended Standards for Sewage Works, Part 370 of Chapter II, Subtitle C: Water Pollution, Title 35, Illinois Environmental Protection Agency, Springfield, IL. Koch, C., et al. (1990), Spreadsheets for Estimating Sludge Production, Water Environment and Technology, Vol. 2, p. 11. Lue-Hing, C., Zeng, D. R., and Kuchenither, R. (Eds.) (1998), Water Quality Management Library, Vol. 4, Municipal Sewage Sludge Management: A Reference Test on Processing, Utilization and Disposal, Technomic Publishing Co., Lancaster, PA.
U.S. EPA (1975), Process Design Manual for Suspended Solids Removal, EPA 625/1-75/003a.